As of last night, I was 1831 words ahead of my cumulative goal. At one point, I was 2331 words ahead, but I opted for lying on the couch instead of writing due to a sore throat and a migraine. I plan on writing a little more than my word count goal tonight. Ugh, migraines, they are the worst!! Hope you’re feeling better today. Thanks, Lauren, I’m feeling much better. Oh, that new cover is gorgeous! I know I’m definitely guilty of judging books by their covers myself, so good luck with new one! Thanks, L.S.! I’m not quite as bad to judge by the covers…I’m more into a good synopsis, but most people definitely judge by the cover. What I hate is when there is NO cover. That turns me off. Hope the migraine has jogged on! Love the new cover! 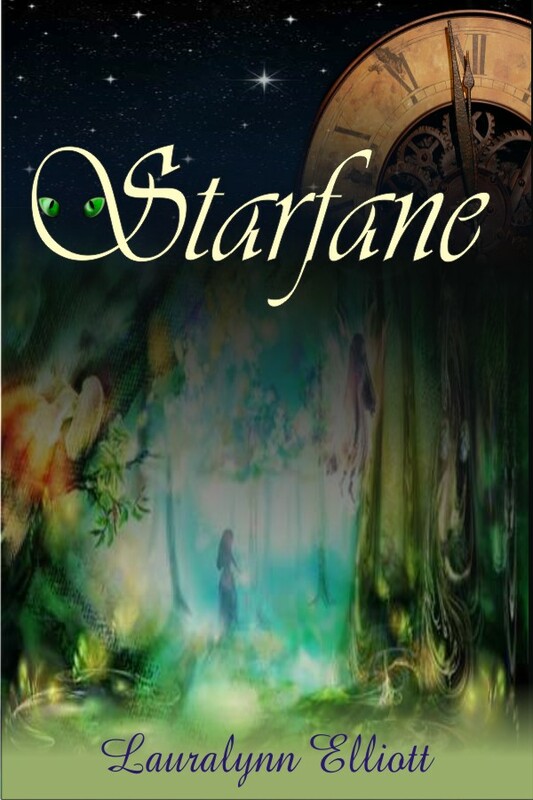 Starfane is such a great title that it deserves a pretty cover. Awesome job, Anya! People are crazy. Even before I “knew” you online, that was the one title of yours I always remembered. I am seriously bad with names, but that one stuck. It sounds cool to me. Shutting up now. LOL. And yep, the cover is very well done. I keep looking at it. Always a good sign. 🙂 I always thought covers didn’t matter to me, but a good one really does grab your attention. I hope business rockets for both of you! I’m really glad the second cover turned out so well. This really is my favorite story by Lauralynn. Glad you all enjoy the new cover! I’m having fun with them. It’s true about pretty covers though. They make people want to check them out in the first place. Just a plain cover with hardly anything on it doesn’t catch the eye. At the same time you have to be careful and not add too much or it overpowers. I especially like to add a little hidden something to the cover that when the reader gets into the book they go back to the cover and discover it was there and it’s a surprise. I definitely like the new cover better! It really seems to fit the tone of the piece so much better. Great decision! Thanks, Kait. We had been thinking about changing the cover for awhile, but were busy with shiny new covers. LOL. Love the new cover. Was thinking about you today. The summer seems to be flying by. School starts again in about a month and we’re going away the last week of this month so my next few weekends are blown. Want to come see you, though! Thanks, Nadja! The new cover definitely reflects the story better, and the quality is much better. I like the watercolor effect, too. And it makes sense because the story is about a woman who steps through a mural into another world. Sick and a migraine is a very unfair combo! (I know…I’ve been there.) Is there someone to file a complaint with about that? The official Brain & Virus Department? I LOVE the new cover! It has a very alluring mystical look. Kudos to Anya for such a good job! Hi Michelle! I don’t know why it made me moderate your comment. You’ve commented here numerous times…. I know you suffer from migraines, too, so you can relate. I really wish there was a department to complain to. LOL. Thanks, Jody. 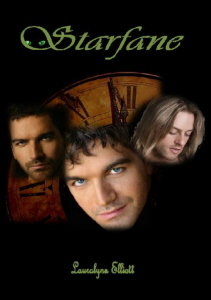 It’s a much better cover, I think. I’m really happy about the word count, and I hope I don’t lose my momentum. It helps to have so many supportive people in ROW80! I love the new cover! And congrats on staying ahead of your word count, even with migranes. Hope you feel better! Good luck with the rest of the week. Thanks, Lisa! Good luck to you, too! My judgment: For the new cover. 🙂 Cool title too. And congratulations on your word count!